Have you ever had a Big Romance, one that completely engulfs you and makes you a better person? That’s a lot to ask of a love affair, but it does happen. Victoria Riskin writes about one such romance in her new book, Fay Wray and Robert Riskin: A Hollywood Memoir. 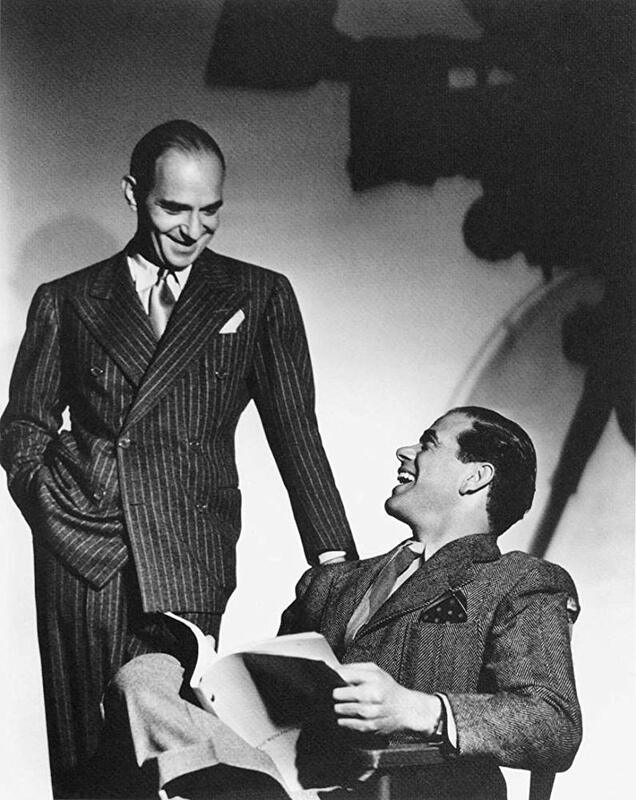 Wray and Risken enjoyed a rare Hollywood marriage that was cut short by an untimely death. Now, who were Fay Wray and Robert Riskin? We’re glad you asked. Let’s start with Wray, whom you may know from the original – *cough* and best – King Kong (1933). She’s been called the first “Scream Queen”, but she actually made a variety of movies during her 65-year career. Get this: She made 46 films alone between 1928-1934, never mind her later stage and television work. Wray was born in 1907 in a small rural community in southern Alberta (Canada), but her family soon moved to Utah, where they struggled financially and her parents’ marriage floundered. Surprisingly, her strict Victorian mother allowed 14-year-old Fay Wray to travel to Hollywood, accompanied by a young man who did not Take Advantage. After her mother and younger brothers followed her to California, Wray began her film career and eventually signed a contract with Universal Studios. Robert Riskin grew up in the eastern U.S. and, at the age of 17, was already a movie producer/writer/director with Klever Komedies. He then become a Broadway producer until 1929, when his career collapsed with the stock market. 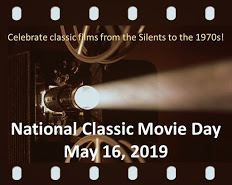 However, two years later, he signed a contract with Columbia Pictures and went to Hollywood to develop the 1930s Screwball Comedy. You’ve seen his films, such as Meet John Doe, Lady for a Day, The Thin Man Goes Home, among many others. During his career, he was nominated for five screenwriting Oscars and won for It Happened One Night. 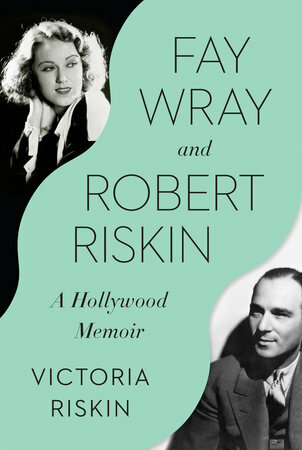 By now you’ve already guessed: Robert Riskin and Fay Wray were author Victoria Riskin’s parents. They met three times before romance ignited. The first time was at the Beverley Hills Tennis Club. Fay Wray approached Robert Riskin, courtside, about starring in his upcoming film Lost Horizon (released in 1937). Riskin was noncommittal, although Wray found him charming and intelligent. Nothing came of this encounter, neither romance nor film offer. Also: Wray was still married to her first husband, the philandering and self-destructive screenwriter John Monk Saunders. They met a second time in 1940 at a Christmas Eve party, and here Riskin Took Notice. He reintroduced himself to the now-divorced Wray, invited her to see a movie and Fell In Love. Alas! Wray was involved with New York playwright Clifford Odets, and Riskin was devastated when she moved to New York. When Riskin returned from England, at the end of 1941, they met for the third time. “There he was, in a heavy blue overcoat. … I was almost giddily pleased to see him,” she wrote. She asked him to marry her. They settled in Los Angeles and raised three children, including Wray’s daughter, Susan, from her marriage to the ill-fated Saunders. It was a happy, good life, until the day Riskin came home early from the studio. “Without a word, he walked past [Wray] and slowly and with difficulty climbed the stairs,” writes Victoria. Riskin suffered a debilitating stroke, from which he would not recover. This book is an engaging, compelling Read; we could hardly put it down. It’s little wonder, considering author Riskin is herself a screenwriter and former President of the Writers Guild of America West. Biographies written by relatives are the most intriguing, if they’re not salacious, and author Riskin shares some terrific stories, e.g. Riskin playing with the children, or Wray packing lunches and driving the kids to school. Author Riskin makes us feel we know this couple as friends, a generous quality in a writer. Yet, this book is far more than a family memoir. In searching for the man her father was, author Riskin reconstructs Hollywood of tumultuous times: the Depression, World War II and the McCarthy era. She gives us fascinating and thorough view of filmmaking during these periods. Fay Wray and Robert Riskin: A Hollywood Memoir is a loving, well-researched history. Victoria Riskin’s admiration for her parents, we suspect, says much about their relationship with her – and with each other. You can order a copy of Fay Wray and Robert Riskin: A Hollywood Memoir HERE. Visit Victoria Riskin’s website HERE. Disclosure: Penguin Random House sent us an Advance Reading Copy in exchange for an unbiased review. Aw! That looks like a good read. I love a good real life romance. That’s the thing about aging I don’t like. The possibility of losing my greatest love. Very informative! I must read it. I hope you get the chance to read this. I learned a lot. It’s a well-written book, full of great info. Riskin is a skilled writer & storyteller. Thanks for cluing me in on this must-read. You must, MUST read this one. Tell your family that if they really loved you, they would purchase this for you. Hi. I never knew much about either of them, let alone that they were married. Robert Riskin sure deserved the Oscar for It Happened One Night. What a great movie. Hi Neil, I knew very little about these two before I read the book. But each of them lived a fascinating life. As for Riskin’s Oscar, he truly deserved it. Great review! How nice to hear about a successful Hollywood marriage for a change. Fay and Robert beat the odds! It is refreshing to read about their marriage and how much they cared for each other. Plus, the book is very well written – always a treat. Very interesting. I often thought Fay Wray was underrated. She did a lot of those psychological horror films they were churning out in the early 1930’s (Doctor X, The Mystery of the Wax Museum) and I always loved her in those. I haven’t seen many of Fay Wray’s films, but from what I have seen, I agree that she’s underrated. I put this book on my wish list after I saw it listed in Raquel’s latest Books Round-Up post (Out of the Past Blog). It sounds absolutely delightful and I can’t wait to get my hands on it! How tragic, though, that their relationship was cut short by Riskin’s stroke. That’s terrible. It’s a fab read and packed with lots of Hollywood history. Plus, a great love story, too. I bet you’ll like it. 65 year career! Reading the post reminds me that there aren’t really any screwball comedies any more. That is true, sadly. The screwball comedies of the 1930s were a real treat. It sounds so much more optimistic and romantic than most Hollywood romances these days! That is sad but true. It was inspiring, in a way, to read about their relationship. Sounds like a wonderful read. So few Hollywood romances last long these days! Very true. That’s why it’s encouraging to read this book – plus, lots of great filmmaking history. My pleasure! It’s a hopeful, interesting book. I’m a bit late to the party but this sounds great. I will definitely get this book. BTW, I love the first picture of Fay in this article. Fay is gorgeous, isn’t she? I hope you get a chance to read this book. It’s an interesting look at Hollywood from both sides of the camera, and a lovely tribute to two remarkable people.